As each year ends, a new season arrives. And with it an array of beautifully fresh ingredients that offer you comfort from the cold. From hearty root vegetables to the bright leafy greens, winter produce delivers a surprising range of flavors for you to enjoy. 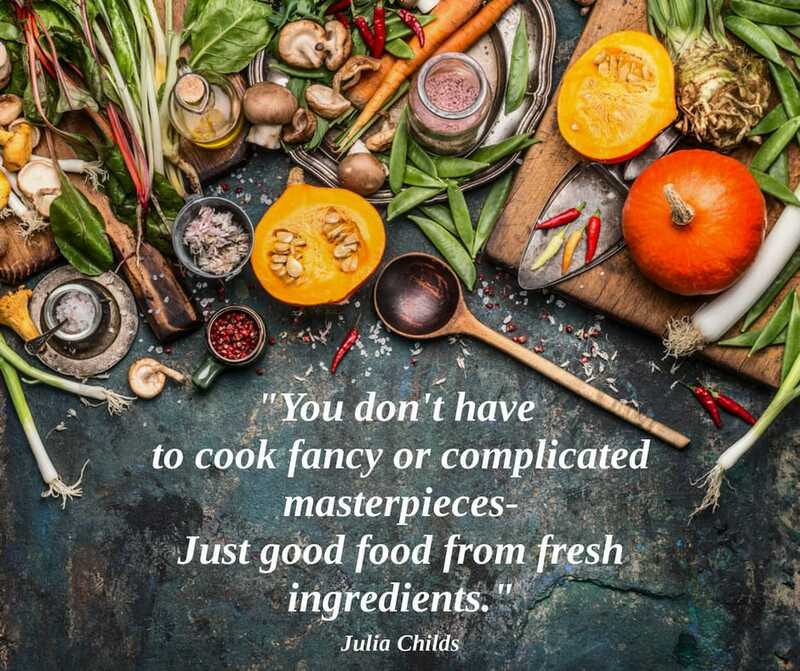 Not only will your palate be impressed, but there are other benefits as well— for your health, your local farmers, and your wallet. Seasonal fruits and veggies are picked at the peak of their ripeness and growth, meaning more antioxidants, more nutrients and better flavor. Eating seasonally also supports local, sustainable farmers, as most seasonal food is grown locally and without pesticides and genetic modification. Finally, when there’s an abundance of a product, prices go down, meaning buying seasonal foods saves you money. 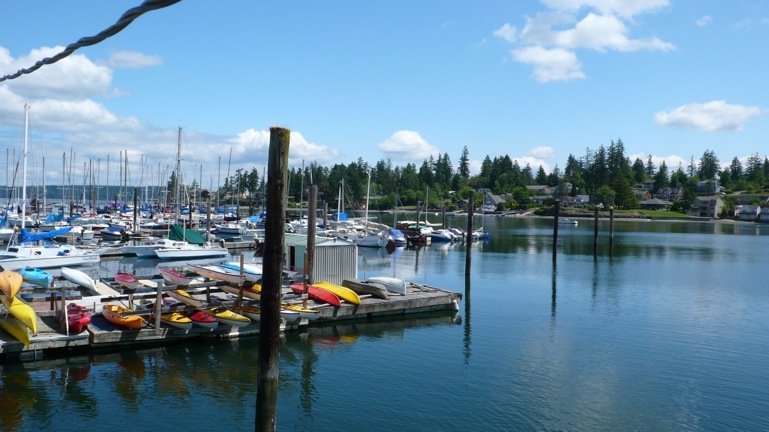 By eating local produce in season, we enjoy food that nurtures both us and our environment. Let’s try to capitalize on this colorful, delicious, and healthy harvest: eat seasonal and local. 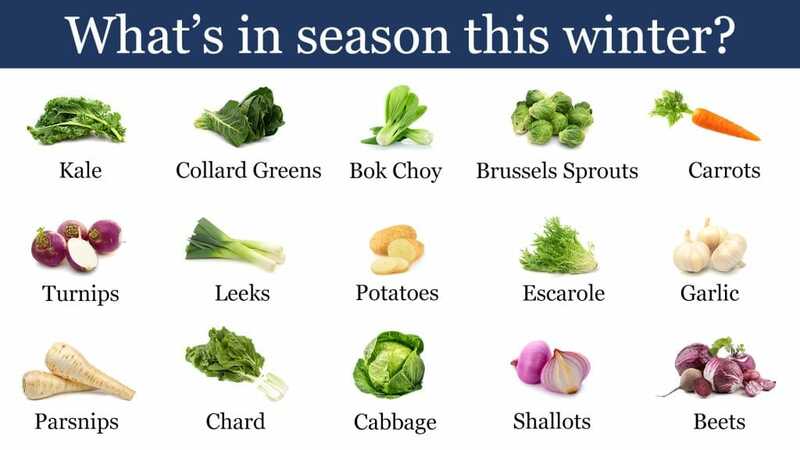 Look for the winter vegetables below at one of the many farmers’ markets Thurston County offers and in produce departments for the best flavor (and greatest value) in season. Convinced? Great. 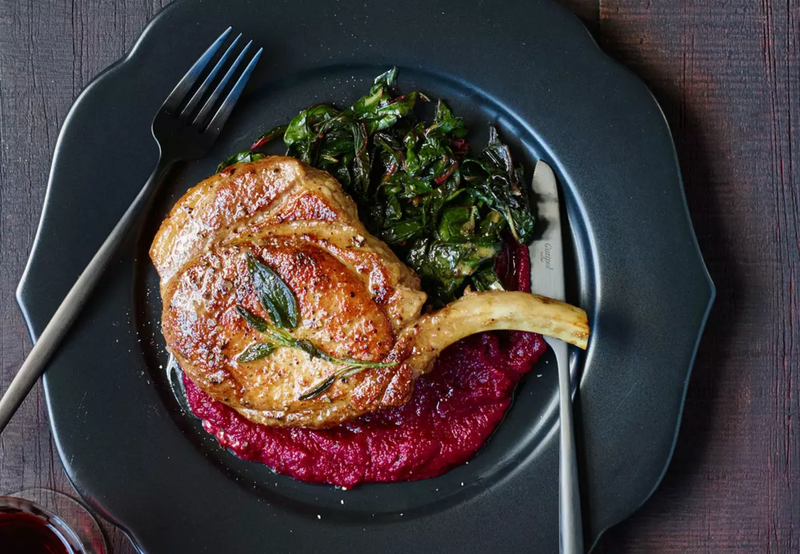 Now it’s time to hit the kitchen and try these hearty winter recipes that make use of the great PNW’s seasonal ingredients. It wasn’t too long ago that beets only came in one color, red, and the most common way of serving them was to pickle them so that they tasted mostly like vinegar. Thankfully, that is not the case today. You can find lots of colors of beets at the farmers’ markets these days and, even better, their flavors are amazing! Besides the familiar red ones, you can find golden beets, white beets and even beets with a bulls-eye pattern called Chioggia beets. To select the freshest beets, choose ones that are heavy for their size and show no surface nicks or cuts. If they’re sold with their tops on, the greens are always a good indicator of freshness. Now let’s beet it and get to the recipes! Try some delicious, gluten-free Beet Almond Pancakes for breakfast! 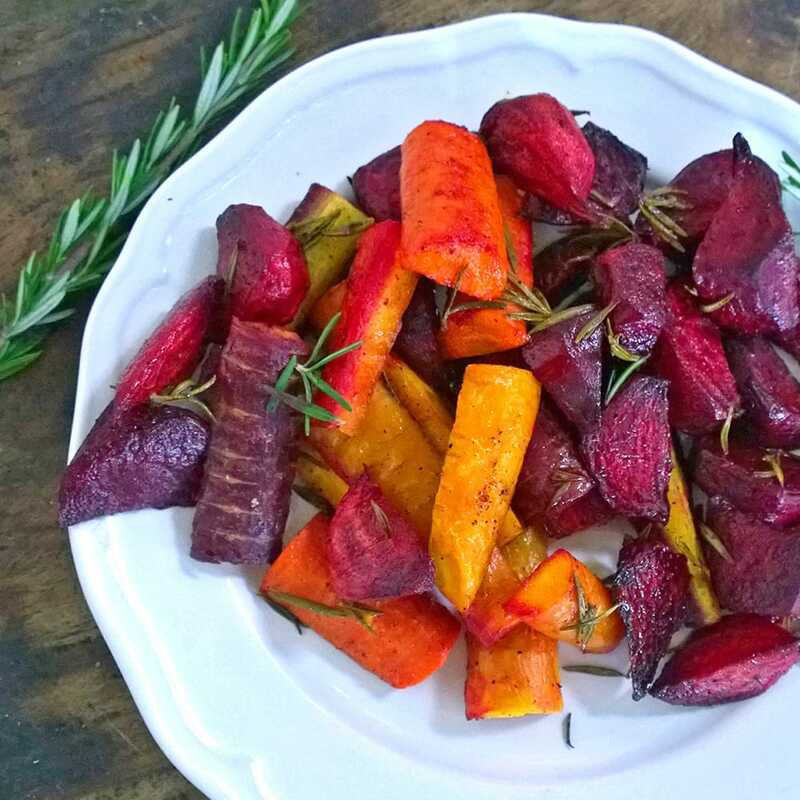 Make some Rosemary Roasted Beets and Carrots as a nice side. Beetroot and Garlic Hummus makes for a delicious and unique dip for your fresh veggies. You can even drink your beets when you make Beet and Grapefruit Juice with Cayenne. Bok choy, an Asian vegetable, is a member of the cabbage family. Filled with nutrients, the plant’s wide leaves and tender stems add flavor to stir fry, salad and steamed dishes. Choose the smaller plants when selecting your bok choy. They have a smoother, less acidic flavor and work best for fresh recipes. Their texture can be as crunchy as that of celery if cooking times are short, but if you leave them in the pan a little longer, they develop a creamy texture that is unique among greens. 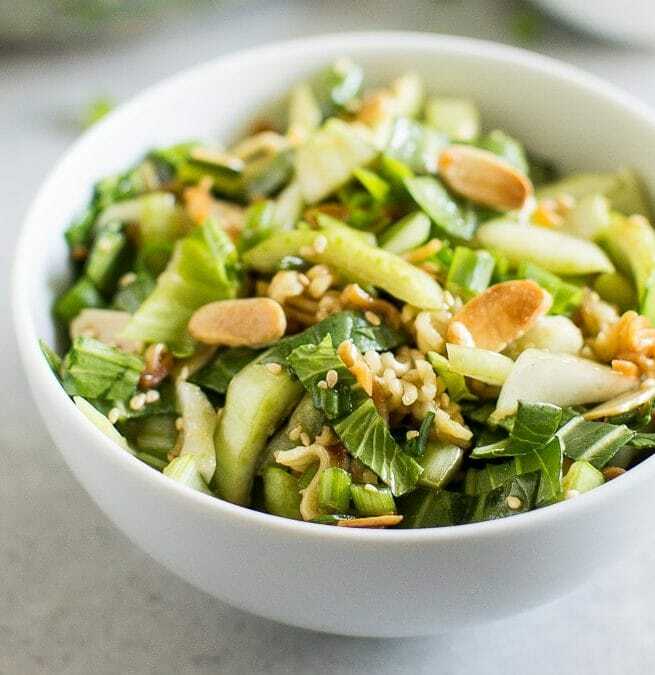 Whether you’re new to cooking bok choy or a seasoned pro, let’s explore some of the tasty recipes you can cook up that feature this leafy green. Brussels sprouts season runs from late-September through February or so. They are best picked after the first hard frost in our area since sprouts react to cold temperatures by producing sugars. Pick Brussels sprouts that feel tightly compacted and hard when you squeeze them. Smaller sprouts tend to be sweeter-tasting, while larger sprouts are more cabbage-like. Sprouts are equally good whether you buy them on or off of the stem, and they will keep for several weeks in the fridge. Keep in mind, however, they require some time-consuming preparation…but it’s worth it! Try one of these delicious recipes. When choosing green and red cabbage, pick a tight, compact head that feels heavy for its size. It should look crisp and fresh, with few loose leaves. Leafy varieties should be green, with stems that are firm and not limp. When you bring your cabbage heads home, store them in the crisper drawer of your refrigerator. If uncut, compact heads keep for a couple of weeks, but leafy varieties should be used within a few days. 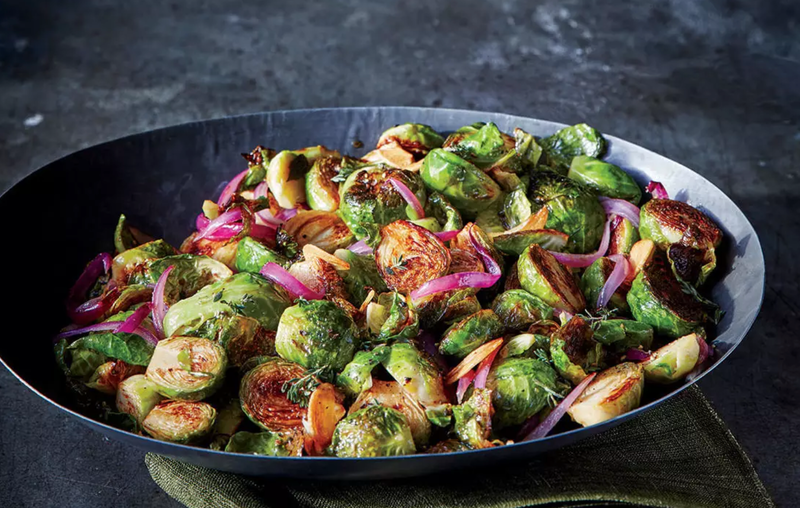 Slow-baked, sautéed, or shredded for slaw, the humble cabbage is one of winter’s most versatile vegetables, and here are some recipes to make anyone love it. Remember when carrots were solely orange? Today, you can find them in a surprising assortment of colors from pure white and royal purple to a sunny yellow and candy-apple red. 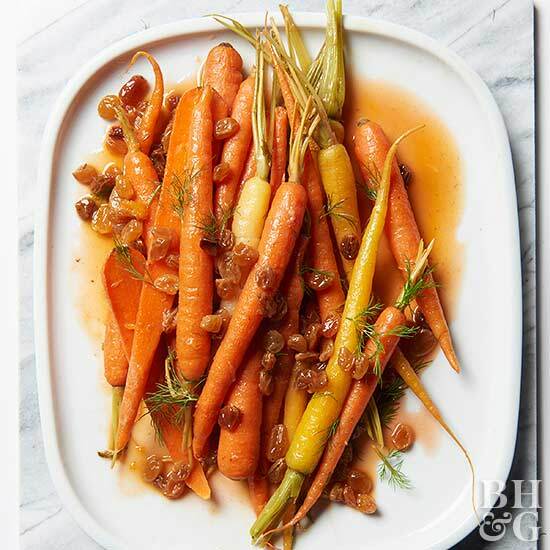 Look for firm carrots with bright color (the pigment fades with time) and smooth skin, and avoid carrots if they are limp or black near the tops— those ones are not fresh. Typically, early carrots are more tender but less sweet than larger, mature carrots. It’s best to buy carrots with their tops on because the greens are delicate and will show their age much more quickly. However you’ll want to clip those greens as soon as you are home to avoid moisture loss. From sweet to savory, here are some ideas to incorporate this veggie into your meals this winter. Swiss Chard, also simply referred to as chard, is a beet that is grown for its deep green leaves instead of its root. It’s highly nutritious and a great course of vitamins A and C. It also contains more minerals than most other greens and is incredibly high in fiber. When selecting which chard bunches to purchase, you’ll want to look for the bunches that have dark leafy greens and brightly colored stems. Avoid purchasing the bunches that look dried out or like they are split or browning. Chard can be eaten when young in salads or later in stir-fry. The stalk and ribs are also edible and somewhat resemble celery. Swiss chard doesn’t get as much attention as its more popular cousins, kale and spinach, but it’s every bit as versatile and delicious. Let these recipes prove it. Widely popular in Southern cooking, these large, tough leaves offer a more mild flavor than kale and can be used in much the same way as other greens. When selecting your bunch, you’ll want to choose nice green leaves with no yellowing and no blemishes. You’ll look for leaves that aren’t wilted to ensure maximum freshness. They can be sandy, so to clean, submerge them in water to loosen any grit, then wash and dry. They are also very nutritious and are known to help lower cholesterol and improve cancer protection! 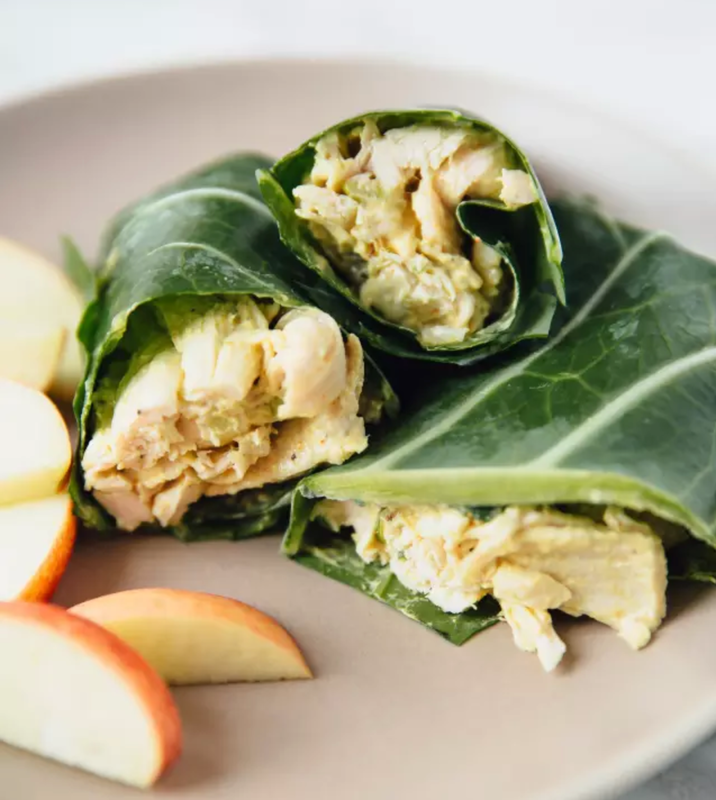 On their own, collard greens have a mild, smoky taste, but they also take on other flavors really nicely. Here are some ideas for what to do with them while they’re in season right now. While kale and collards are excellent options, try mixing your recipes up with escarole, a delicious and nutritious chicory variety you may not be as familiar with. Although escarole definitely brings a distinct flavor, it’s actually the least bitter member of its leafy endive family. When selecting your own, be sure to choose escarole that looks green and fresh. Just like many other greens, stay away from damaged or browning leaves. Since a lot of dirt and sand can get trapped between the curly leaves, be sure to wash them thoroughly before you prepare. The most popular method of preparation is to sauté it up to sweeten the strong flavor, but escarole can also add a bright and brisk crunch to any milder salad. 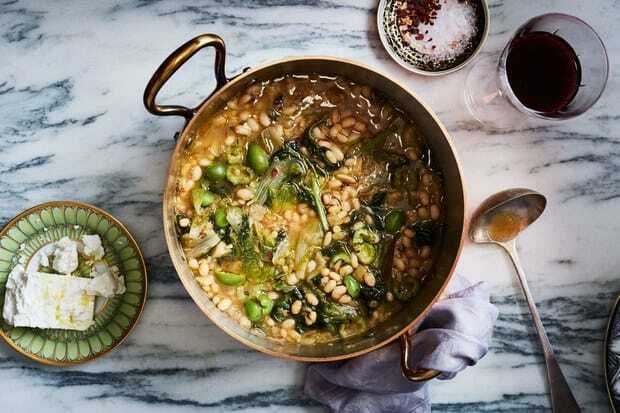 Here are a few of our favorite ideas to add a more inventive twist to your winter meals. Obviously, any well-stocked kitchen needs a few heads of garlic and a healthy selection of fresh herbs. 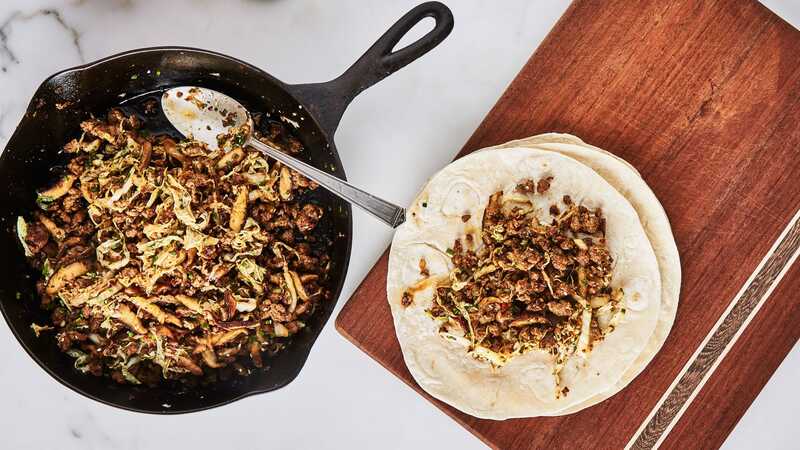 What recipe doesn’t start with mincing a clove or two and sprinkling some greens for flavor? When selecting your heads of garlic, you’ll want to pick the bulb up and give it a light squeeze to be sure none of the outside cloves are too soft or dry. It should feel firm and not hollow or dehydrated. Also keep an eye out for sprouting, which is another indicator that the garlic is old. For your herbs, as any green, Look for fresh green hues, no yellowing or browning, and specifically for parsley, no wilting. 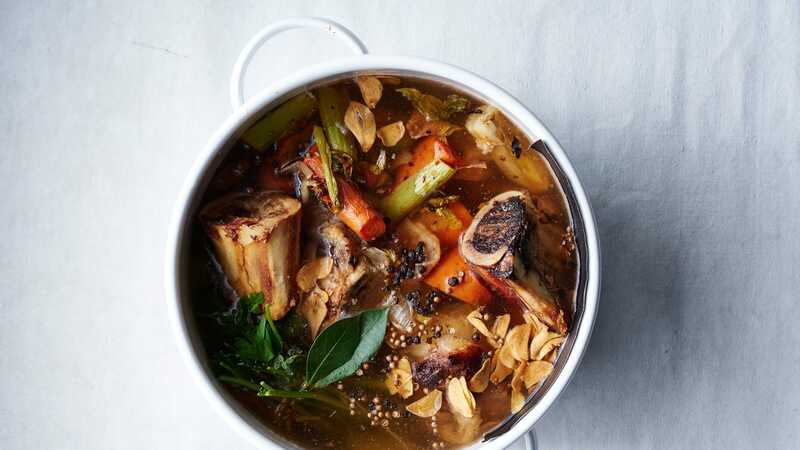 Most of the recipes included in this article include both garlic and herbs, but we think everybody could and should benefit from some delicious and nutritious bone broth. Get the recipe here. Why not consider using kale as a stand-in for spinach in other dishes this winter? Its sturdy leaves are excellent sautéed and even added to casseroles. To select, look for a deep blue-green color and choose small bunches devoid of any signs of wilting or discoloration. Choose smaller-leaved kale for tenderness and mild flavor, especially if you plan to eat the greens raw. Look for moist, crisp, un-wilted kale, unblemished by tiny holes, which indicate insect damage. The leaves should not be yellowed or brown. Kale stems are edible, so check to be sure that this part of the plant is also in good condition. Kale develops a stronger flavor the longer it is stored, so most people use it within a day or two of purchase. Though leeks resemble large green onions, they’re much milder and sweeter. When selecting, look for leeks that have as much white and light green as possible. The stalks should be crisp and firm. You’ll want leeks with crisp leaves and blemish-free stalks. Avoid leek stalks that are withered or have yellowed tops or that are mostly dark green. 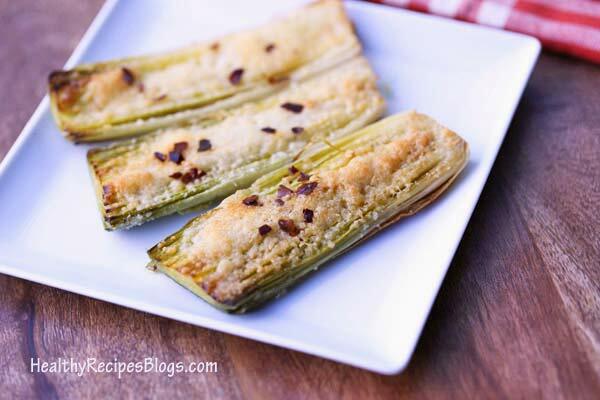 Leeks are usually cooked since they’re very fibrous when raw. Here are some of our favorite winter leek recipes. This hardy root vegetable thrives in cool climates—it requires frost to convert its starches to sugars and to develop its sweet, nutty flavor, making them exceptionally delicious up here in the great PNW. Except for their ivory color and generally wider girth, parsnips look a lot like carrots. 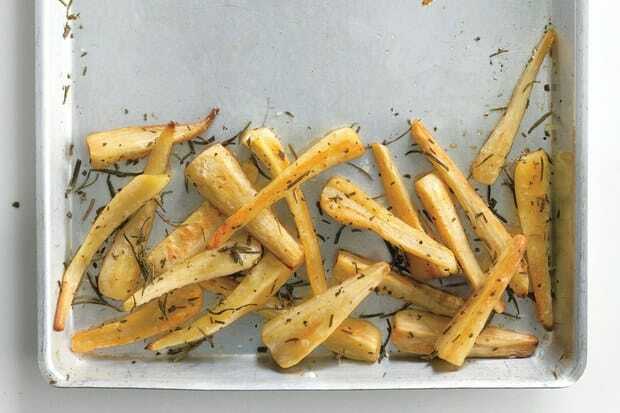 To select your parsnips, look for small to medium-sized ones with beige skin. They should be crack and blemish-free and firm. Check that parsnips are free of cracks, and avoid any that bend or show soft spots. A fresh parsnip will have an herbal fragrance, and despite the longstanding rumors, smaller parsnips are not necessarily sweeter and better tasting than larger ones. These recipes prove that the parsnip is so much more than a carrot lookalike. Potatoes are an essential staple in many diets all across the globe, and these adaptable tubers can be cooked in an endless number of ways. From fried to baked, roasted to boiled and even hashed, there’s pretty much no limit to what you can do with a potato. 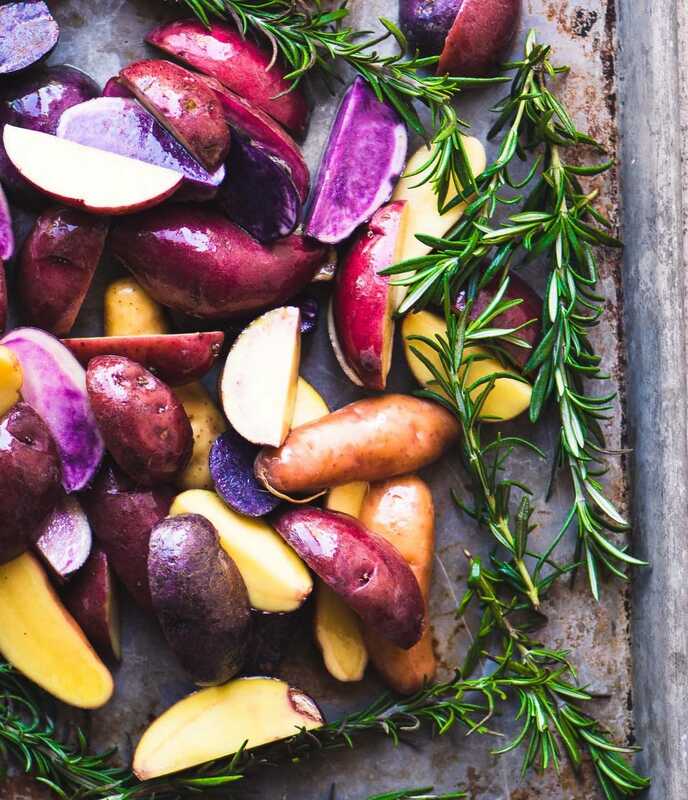 Cooking with potatoes starts with choosing the ripest and healthiest ones. Squeeze potatoes for firmness. The best potatoes are ones that are firm and that don’t give when you squeeze them. You’ll also want to check for cuts and blemishes, as those can lead to decay. Avoid sprouting or wrinkled potatoes, those with green skin, dark spots and/or bruises. There are also a great number of potato varieties, and it’s important to select the right one based on the dish you want to make. Check out some of our favorite recipes for our favorite spuds. Picking shallots is simple: When selecting shallots, think onions. The best shallots are firm, compact, and not too lightweight. Look for shiny, unblemished skin. As with onions, you want to avoid anything with bruises. Sprouting shallots are an indication of age and should be avoided. The younger (smaller) the shallot, the milder the taste. Large shallots will smell and taste more like their onion and garlic cousins. Shallots are best stored in a cool, dark, and dry area, such as a cabinet. 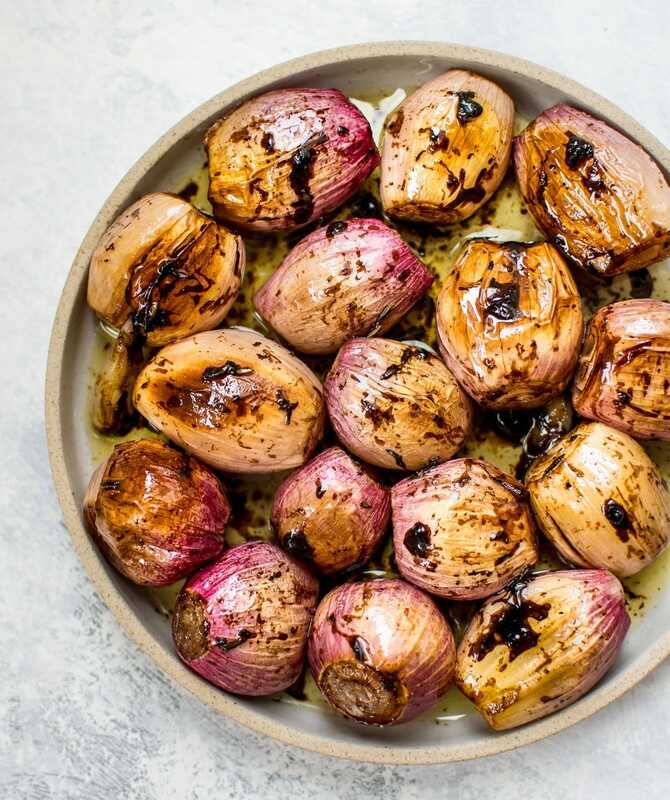 While you can store your shallots with your onions, make sure to keep both away from potatoes: potatoes and onions/shallots each give off gases that, when stored in close proximity, can cause the other to go bad quickly. Less assertive than onions with a mild garlic flavor, shallots add a hint of sweetness and can step in as a substitute in most onion recipes. While mild enough to eat raw, they’re also delicious cooked, playing especially well with delicate flavors or dishes with big kicks of spice. Try out one of these exciting ways to eat the unsung hero of the allium family. 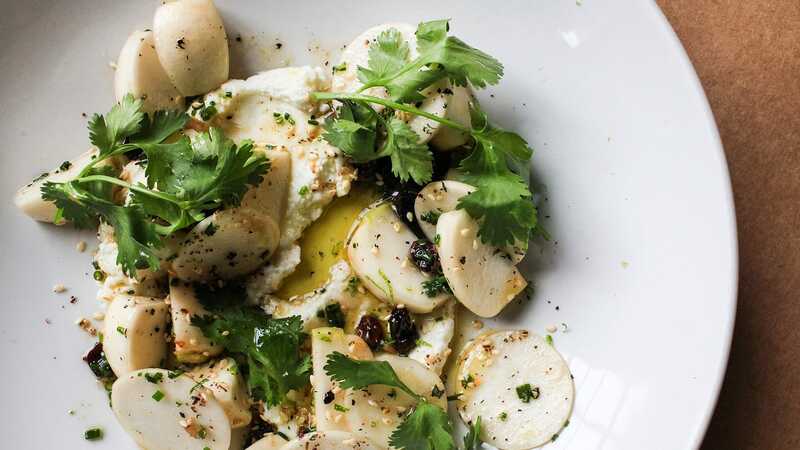 Unlike certain cheeses, a good Scotch and fine Bordeaux, turnips are better when they’re young. In the beginning of their life as a root vegetable, they’re soft and delicate. Often called winter greens, turnip greens are actually available almost year-round, but it’s in deep winter that they become their sweetest. They should be heavy for their size and firm, without any nicks or cuts. If the greens are attached, they should be brightly colored and fresh. The greens aren’t the only good product of this vegetable, either. The roots can be boiled and mashed or roasted and pureed; they can also be cubed and tossed with butter or used raw in salads. 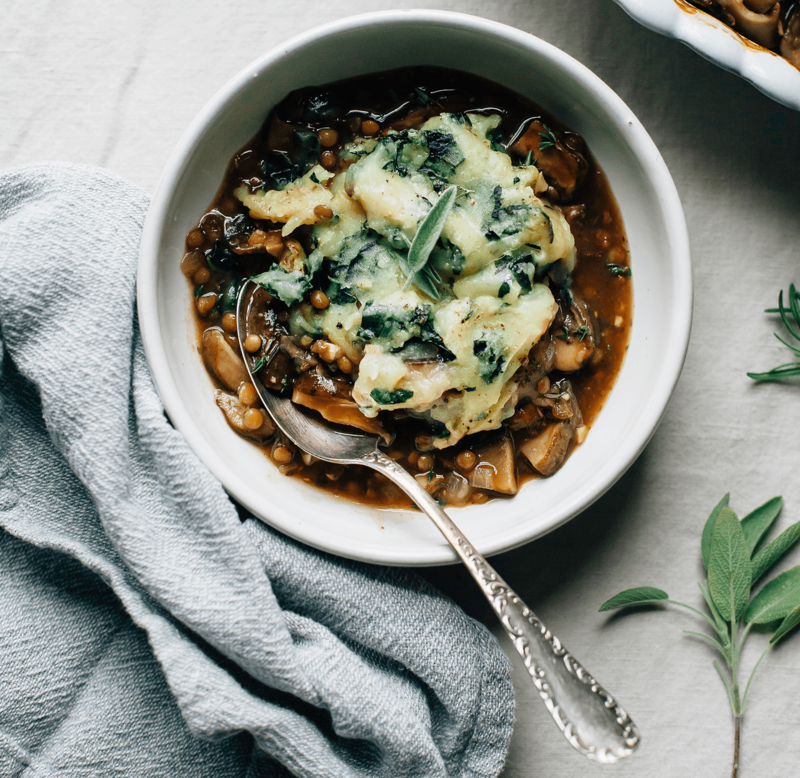 They’re truly a great way to shake up your winter side dish game. Why not test out one of these tasty recipes this weekend? Butternut, pumpkin, acorn, kabocha, buttercup, spaghetti, kuri, and more, oh my! Winter squash is abundant during fall and (obviously) winter. Rich in Vitamin A (beta-carotene), Vitamin C, potassium and fiber, squash is one of the top anti-cancer foods to eat, not to mention it’s great for your skin and your heart. Ripe squash tastes better and digests easier since some of the starches break down and become easier on your digestive system. But choosing a ripe winter squash is a bit hard to do, considering squash doesn’t get brown spots or soften very easily as pears and bananas do. Look for a squash that has a matte, soft finish. It shouldn’t be spotted and shouldn’t appear shiny or waxy. You’ll also want to look at the stem. If a squash is past its prime, the stem will pop off easily. It should also be firm, heavy, and sound hollow when you tap on it. Winter squash is also one of the easiest winter produce items to prepare. All you need to do is roast it in the oven as you would other root vegetables and there you go! Quick, simple, and delicious! 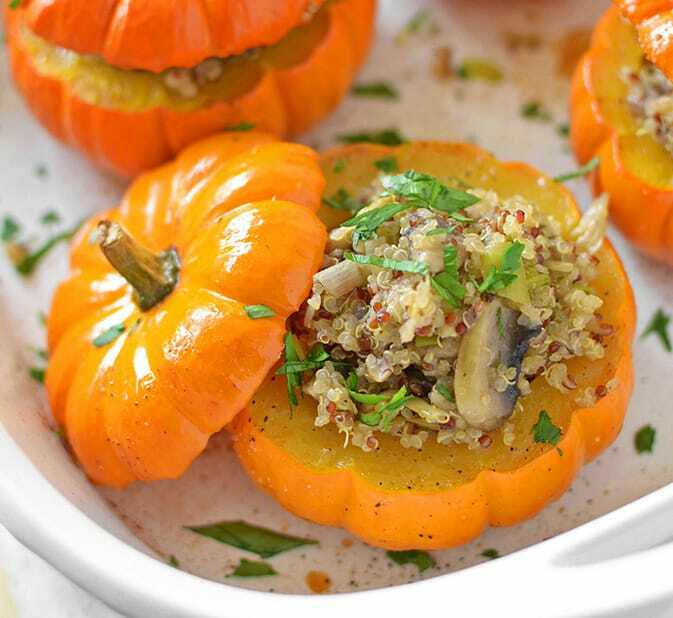 With the exception of spaghetti squash, virtually any winter squash (including pumpkin) can be substituted for another in any recipe, from main dish to side dish to dessert. We highly recommend testing at least one of these recipes while all the squash is still ripe.